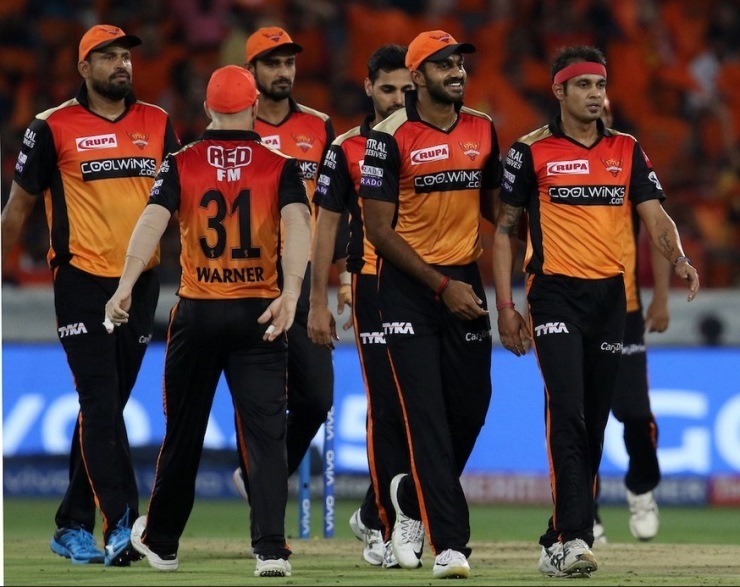 Mohali: After losing their last match, Sunrisers Hyderabad will seek consistency and look to resolve their middle-order woes in their next match IPL match against Kings XI Punjab here at the Punjab Cricket Association IS Bindra Stadium on Monday. SRH are relying heavily on their openers David Warner and Jonny Bairstow maintaining their run scoring spree in the 12th edition of the league. In their first three matches, Warner and Bairstow made century-plus opening stands but they got out cheaply against Mumbai Indians. SRH middle-order has hardly been tested so far in the tournament and when they got the opportunity against Mumbai Indians, the middle-order batsmen included Vijay Shankar, Manish Pandey, Deepak Hooda and Yusuf Pathan were not able to finish the match. Chasing a modest 137 for a win against Mumbai, debutant Alzarri Joseph did sensational bowling and bundled out Sunrisers for 96. On the other hand, KXIP also lost their last match against CSK. Chasing a target of 161 runs, KXIP were restricted to 138 for five by CSK despite having a brilliant parternship between K L Rahul (55) and Sarfaraz Khan (67). Like SRH, KXIP are also largely dependent on their explosive openers K L Rahul and Chris Gayle. However, Mayank Agrawal and Sam Curran also performed well with the bat in few matches. When it comes to the bowling , the pace trio of Bhuvneshwar Kumar, Sandeep Sharma and Siddharth Kaul are an asset for SRH. While the Afghan spin duo of Rashid Khan and Mohammad Nabi have also picked crucial wickets in the middle overs. Taking about the KXIP’s bowling, Ravichandran Ashwin has done decent job with the ball, along with Sam Curran, Murugan Ashwin and Andrew Tye. After losing the last their last matches, both SRH and KXIP would be desperate to get back to winning ways. In the last season, when these two teams faced each other, both managed to win one match each. In 2018, SRH were the runners-up while KXIP finished at the 7th position in the table. In the head to head clash, SRH and KXIP have played 12 matches in the tournament’s history so far. SRH have won 9 games while KXIP have managed to win only 3 matches.